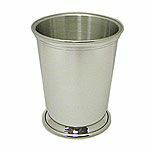 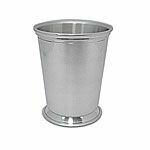 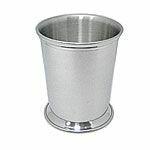 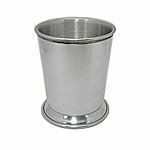 Mint julep cups are commonly personalized with a monogram for gift giving or engraved with an award title making a great custom trophy cup. 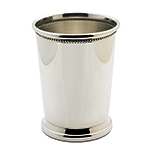 Your favorite mint julep recipe will taste even better when sipping from a personalized cup! 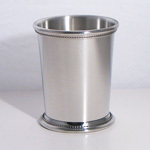 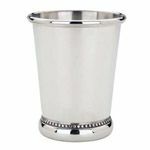 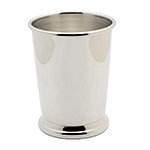 There are few drinks that have inspired their own vessel and become such an icon as the mint julep cup. 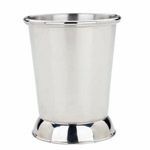 Beginning in the late 1930's, the mint julep drink was served at the Kentucky Derby, and has become synonymous with the event ever since. 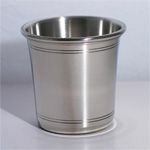 These cups will never tarnish. 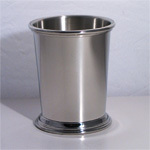 5 oz., 8 oz., 12oz., 16oz.